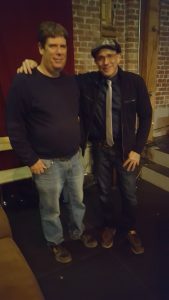 I had the great opportunity of hanging and going to the shows of Kenny White Last weekend. It makes for a strong homage to classic rock ‘n’ roll. Smith fits in snugly wrapped in the trappings of the great sounds of the music’s past. His vocals call to mind Mick Jagger and Bob Dylan among others. The music can take a bluesy sound, a country flavor and on the opening cut there are prog touches. The lyrics call to mind the Rolling Stones, Johnny Rivers, Rick Derringer, Pink Floyd, Devo and others. “The Best Gift of My Life” shows he can come up with a beautiful melody. The words are worth reflection. Smith’s life experiences are worth sharing, and his vocal delivery underscores he’s not posing. It’s an upbeat journey he takes us on throughout these 11 cuts. Love is on his mind. And he doesn’t sound jaded in his tales. He doesn’t seem like a hopeless romantic. The music underscores a desire to connect with his listener as well as bear his soul. All the analysis need not be ladled on in describing this record. It’s plenty of fun, listening to each song. The tempos change freely from one track to the next. Hard rock is comfortable terrain, displaying his rocking skills on “Over It Soon.” It’s just plain catchy. This could serve as the description for much of what’s offered here. Even if I haven’t listened to as much classic rock lately, I can’t stop thinking about the masters. These cuts show their tradition can be built on and made into something, which represents solid entertainment and art. The words don’t make me cringe. The hooks are welcome. I’m sure Smith has more tales of adventure to share with us as he explores his California roots. Whether whistling, strumming or singing. Smith should continue to make his mark. There’s plenty to revisit, making this album worth spinning over and over. There must be a breeding ground for more great music in his musical vision. Hi Rafa, I have been staying busy, promoting my album and recording. Can you talk to us more about your latest single “The Sum Of Life”? I have been playing this long before I started writing songs with lyrics. It’s kind of like a fiddle tune where it has 2 parts that repeat. It started out as just a fun song to finger pick and later when I started recording, realized That it had potential for some pretty soloing. No not really. As I played it over time, I found myself reflecting on my life and relationships, places I’ve been. Any plans to release a video for the single or any track on this album? Yes! I’m am working on that now someone. The plan is to combine live performance with animation. I wanted the Sum of Life to be the title track because It had a ring to it. I didn’t think it would be so popular which usually why a song is picked for the album title. I wasn’t thinking about that, I just liked the name. It had meaning. One of the top experiences of my life. 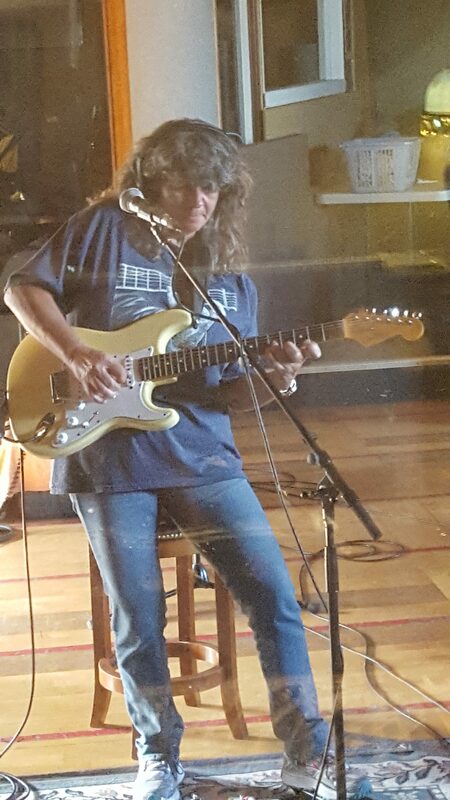 It had been on my bucket list to write songs and record in a studio. Now a days, so much is done in home studios. I wanted the synergy effect of working with other people in a professional studio. A lot was created by input of others. I also wanted to get plugged into a community of good musicians. The writing process was magical. Once I started writing, the flood gate opened. It was a creative Journey of discovering melody lines, rhyming methods and story ideas. My wife was one of my main subjects Lol. Known for blending different styles together, does one shines the most depending on the lyrics’ theme? Do I have to pick one? Blue Guitar Slinger was written about the late Johnny Winter. He was a hard subject to come up with material to write. In the end, I was happy with how the words fit together. Like a puzzle. The Best Gift was written about my kids and I felt like I captured some key Moments for my wife and I. On Payday, I wanted to write a tribute for us working folks that kicked a little. That is one of the songs that I thought my rhyming methods shined. Does the Bay plays a role in your music? Pretty big, I grew up in the hay day of the Bay Area musical scene. I feel lucky to be in the main area that Bill Graham put on shows. There was always Something going on. Being able to see free show in Golden Gate Park with the Grateful Dead and Jefferson Starship was a great time. The Sons of Chaplin were one of the main highlights because They played so often and were great! Bill Chaplin went on to play with Chicago. Jerry Garcia, Jorma Kaukenen, David Nelson and Steve Kimock are the biggest influences on my playing from this area. You listed some legendary musicians to help you out – did you handpick them or how did they come on board? One of the great things about the Bay Area, is that there are many great, famous Musicians around that are more than happy to do studio work. Most of the artists are part of the Studio E community, with the help of Jeff Martin (the owner) I was able to connect with all of the artists. I had to work and apply pressure to get David LaFlamme. I wanted his signature violin, which really paid off. Nina Gerber is one of a kind and made such a great performances. She usually plays beautiful acoustic guitar, which she does on The Sum Of Life, but she performs rare electric rockin’ slide guitar on Over it Soon and Messing with Reality. Mitch Woods, who plays on Payday and the World is Strange, we got on a total whim. He was so much fun to work with. 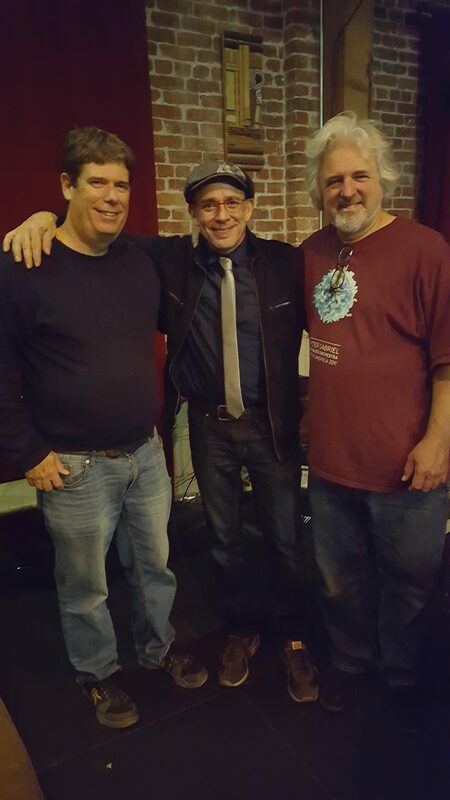 The drummer is Vic Carberry who played with Tommy Tutone on Jenny Jenny. 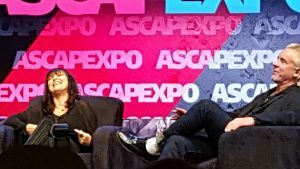 Is a big part sound success for the album along with bass from Jeff Martin. Vic’s nickname is Vic the Click for his impeccable timing. On Keyboards, I had Giovanna Imbesi. Giovanna Plays with, The Joy of Cooking, Yanni and Andy Summers. She played the kicking Hammond organ on Eclipsing Moon and grand piano on The Best Gift. Not yet, but I hope to soon. What else is happening next in Scott Smith’s world? I’m in the middle of recording the next album. I have David LaFlamme on a song named Igniting the Flame, where he performs a wild solo that Takes you back to the old Fillmore days. Nina Gerber more slide on a southern rock tune, Drop Kick it. And I have David Grisman on a song I wrote about the Grateful Dead, called Skeleton and Roses. The Sum Of Life by Scott Smith. Growing up in the Bay Area, California singer-songwriter Scott Smith was constantly exposed to music and artistic souls. “There was so much happening musically living in the Bay Area at that time. It was very alive.” So when Smith decided to get serious about writing and recording his own LP four years ago, he found that geography had blessed him with access to an incredibly talented pool of musician friends. In short time, Smith was able to bring aboard violin virtuoso David LaFlamme, acoustic guitarist Nina Gerber, pianist Mitch Woods, drummer Vic Carberry, keyboardist Giovanni Imbesi, and vocalist Gailene Elliot to help fine tune his first release. The result is an awe inspiring display of musicianship to complement Smith’s natural Americana blues style which, when combined, creates quite a unique listening experience on Smith’s 11 track debut release The Sum of Life, available now. The Sum of Life opens with its title track and it is safe to assume no one will see this one coming. An absolutely beautiful instrumental piece highlighting LaFlamme on violin and Gerber on acoustic guitar, “The Sum of Life” paints a picture with its music and sets a mood. But as the opening track, the mood it sets is deceptive as the next track, “Eclipsing Moon,” is much more representative of the release in general. From the second the keyboard blares, you will know you are in for quite the upcoming ride. Smith’s guitar playing and vocals, supported by his long time coach Elliot, mix well with the keyboards to produce a head shaking, toe tapper of a track. Smith continues to push the pace on the energetic “Blues Guitar Slinger.” Elliot continues her work on back up helping to balance Smith’s vocals a bit while he continues to hit it out of the park with his distinct style on guitar. “Payday” is a hilarious song about the drudgery and monotony of the work week, the kind of song you can imagine doing a line dance to in a country bar on a Friday night with a beer in hand. There continues to be solid guitar work here but being left alone on vocals tends to highlight where Smith’s strengths lie. “Bad Dreams” is a typical country track that takes things down slightly pace wise. A song about moving forward and looking to the future for sunnier days, “Bad Dreams” sees LaFlamme return on violin which works well together with the other elements to create a pretty unique sound. The Sum of Life begins to wrap up with “Over It Soon.” Continuing to blend blues and country, “Over It Soon” is another quick paced track that will have you up and dancing. Like most good, uptempo, country influenced songs, this one manages to create a feel good vibe despite the lyrics which are about a guy who is hung up on a woman and his friends would kindly like him to “get over it soon.” Closing out The Sum of Life on a high note is “Messing With Reality.” The quick paced culmination of everything Smith had been relaying throughout the release is the perfect end to his debut effort. Scott Smith’s full length debut The Sum of Life is an 11 track concept type album that also manages to be a masterclass in musicianship. 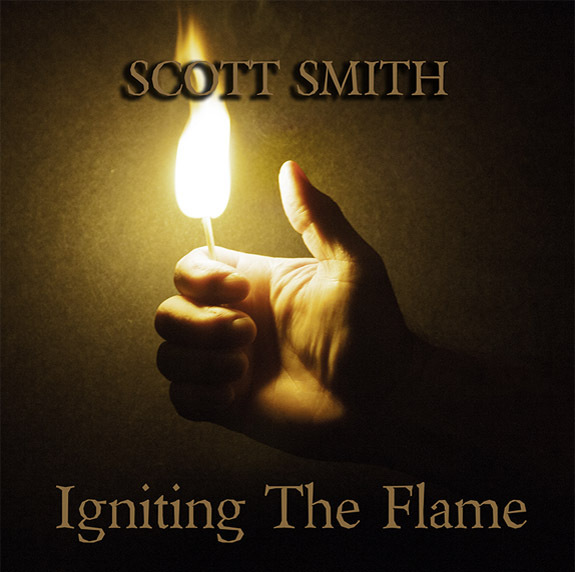 Drawing on older musical influences such as The Grateful Dead, The Beatles, Cream and The Rolling Stones, while staying true to his own Americana-country blues base, Scott Smith manages to develop a newer sounding style all his own. 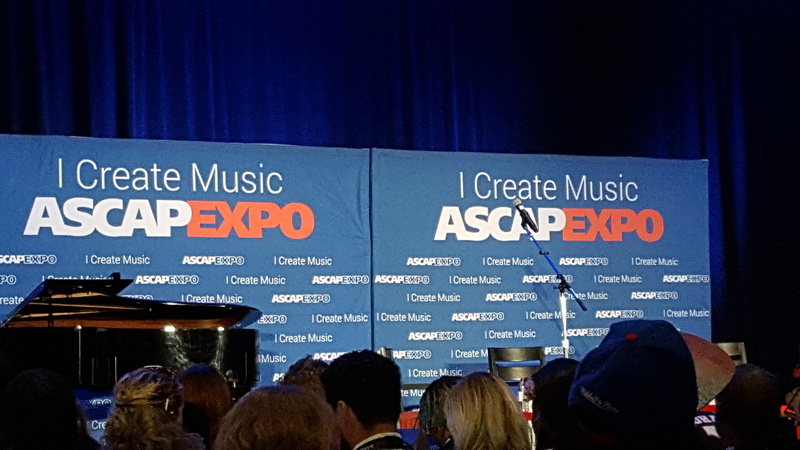 I just came back from an extended weekend in L.A. where I attended the 2016 ASCAP EXPO. I was pretty incredible! Some of the music artists there were Pat Benatar and her husband Neil Giraldo, Rob Thomas from Matchbox 20, Timbaland, Paul Williams (who I road in the elevator with), Melissa Etheridge, Desmond Child (who wrote Living on a Prayer and Angel for “Arrow Smith”), Suzanne Vega, Brett James (wrote Jesus Take the Wheel for Carrie Underwood along with songs for Kenny Chesney), Brian McKnight, Kevin Kadish (It’s All About That Bass), Charles Kelley (Lady Antebellum) and many others. I met a lot of good folks and was great to be in a total supportive environment for songwriters. 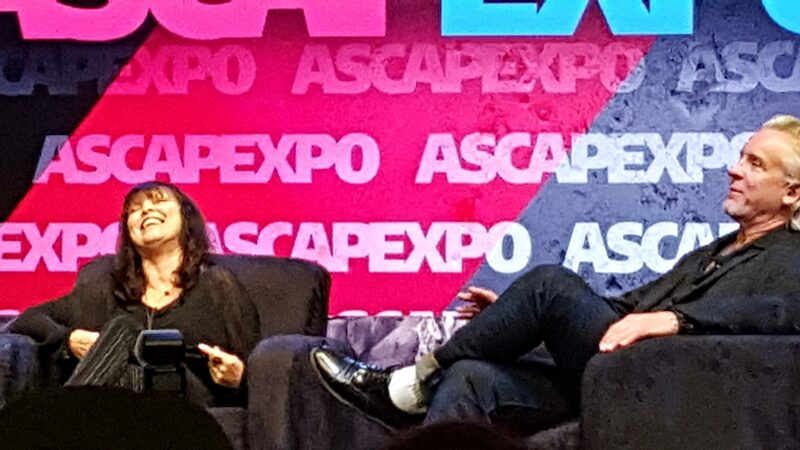 They covered everything, from writing techniques to recording and selling. It’s a whole different world down there, these writers are pumping out the songs everyday and there is all kinds of buzz around it. On the first night they had a songwriter in the round performance in this club, with Desmond Child, Brett James, Kevin Kadish, Suzanne Vega and Rob Thomas. It was the coolest experience. There was this comradery because we were all songwriters. We sang along with the songs like they were are own. I’ll never forget it! Finally from the Bay Area comes the debut album, “The Sum Of Life” from singer/songwriter Scott Smith. Smith invited some legendary musicians to help him accomplish his goal of producing a timeless album. Beginning with the title-song, “The Sum Of Life” is a gentle, acoustic instrumental that invites you in to experience the full range of what Smith has to offer. He picks the tempo up with the bluesy rocker “Eclipsing Moon” and the country swing of “Payday” to showcase his musicianship. 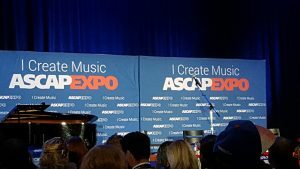 The old school, Americana sounds of “Bad Dreams” and “The Best Gift” are highlighted by David LaFlamme (It’s A Beautiful Day) on violin, who gives the songs an authenticity. The new eleven-song release finishes up with the guitar/piano boogie of “The World Is Strange” and the dirty blues rock of “Messing With Reality.” To find out more about Scott Smith and his latest release “The Sum Of Life,” please visit scottsmithband.com.